The ideal athlete is basically an agile Greek statue with a healthier complexion –- perfectly sculpted, free of anemia, and unconstrained by disgusting bodily functions. That last point is especially important because nobody wants to picture a flawless physical specimen on the toilet. Our sports heroes should be pooplessly perfect. Sadly, reality doesn't work that way. Even someone whose abs could be mistaken for an enormous corn cob struggles with the same unpleasant plumbing as the rest of us. Pro athletes arguably have some of the grossest bathroom-related woes because of the stress they put their bodies through. When you're constantly clenching your muscles, you're bound to squeeze out something unwanted in front of a crowd one day. The odds of yuckiness jump drastically if an athlete performs while sick. And when sportspeople aren't dealing with their own uncooperative innards, they sometimes have to put up with other people's crap, not to mention revolting behavior by rivals and fans. Here are some of the grossest things pro athletes have endured while competing. The idea of swimming in an unflushed toilet sounds ridiculous and not just because the bowl is too small. No sane person would willingly subject themselves to the chunky, funky horrors below the water's surface. Yet if you make that toilet really large, replace the bowl with a beach, and toss in the promise of a shiny prize, professional athletes will practically bathe in it. Case in point: Rio. No offense, Brazil, but Rio de Janeiro's beaches are like a clogged toilet at a laxative party. According to the Independent, the waters are a receptacle for trash, raw sewage, and even human corpses, none of which should ever enter your body. Despite knowing this, numerous athletes flush their health down the drain by competing in that mess. In 2016 Ace Buchan, then the 10th best surfer in the world, told PRI that he experienced dizziness, nausea, and months of stomach trouble after competing in Rio. 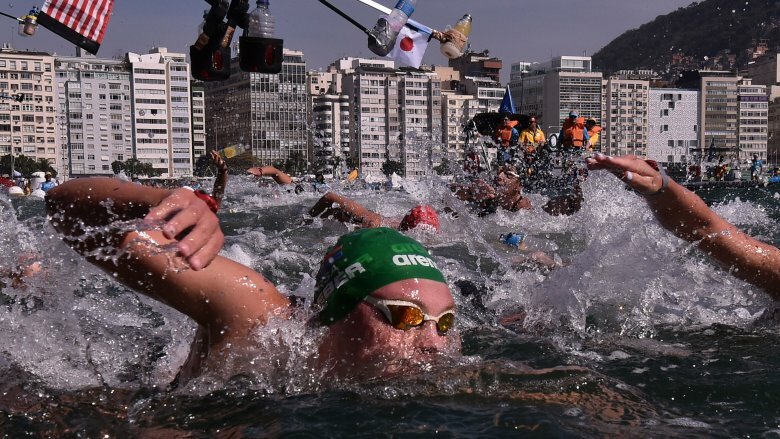 Obviously, the abject poopiness of the water created concerns about the 2016 Rio Games. In 2015, 13 U.S. rowers contracted a stomach illness from participating in an Olympic trial run. A Rio physician warned Olympic swimmers not to open their mouths while competing because they'd "literally be swimming in human crap." Emotionally charged rivalries can bring out the worst in sports fans. When spectators turn athletes into enemies, all rationality evaporates, leaving the toxic hostility of blind tribalism. At that point, humans expose themselves as seething, hairless apes that are just barely too self-conscious to fling their excrement at opponents. And even if modesty overrides that stinky urge, some fans throw things that are just as bad as booty fudge. For example, in Denmark at least one rabid soccer fan threw dead rats. In 2017 Danish Superliga team Brondby hosted its longtime foe FC Copenhagen. Toward the end of the game the home team trailed 1-0, and defeat seemed imminent. As Copenhagen player Ludwig Augustinsson set up a corner kick, a bitter Brondby fan (or fans) unleashed what the Independent called "vermin rainfall." 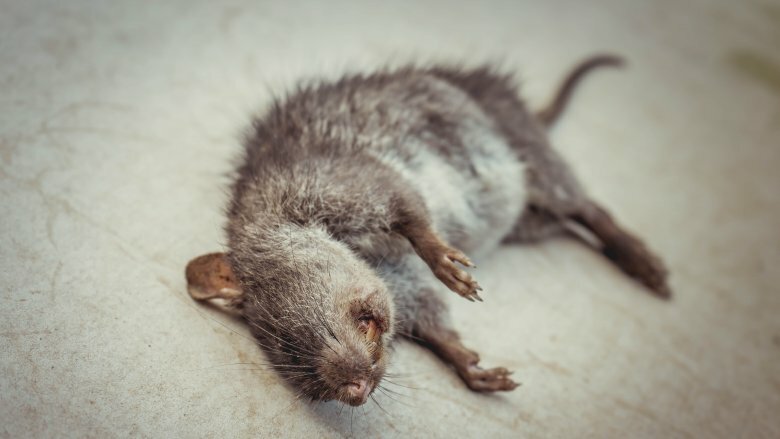 Two rat corpses landed at Augustinsson's feet, disrupting his attempt. Something equally twisted happened at a 2016 soccer game in Dresden, Germany. The Dresden Dynamo went cleat-to-cleat with the reviled Leipzig Bulls. As the Independent explained, the Leipzig team became a soccer pariah due to its financial ties to Red Bull. Presumably inspired by the horse head scene from the Godfather, Dresden fans showed their disdain by tossing a severed bull's head near the field. The Dynamo got fined £54,000 because of their fans' actions. You can't win for losing, but if you're Pete Sampras you can win for losing your lunch. In 1996 the tennis icon known as "Pistol" Pete sought to defend his U.S. Open championship under discouraging circumstances. Per Bleacher Report, Sampras' coach Tim Gullikson had recently passed away from a brain tumor. Earlier in the year he lost three majors, jeopardizing his No. 1 ranking. So when Sampras reached the U.S. Open quarterfinals, he was determined not to blow his opportunity. Instead, he blew chunks. 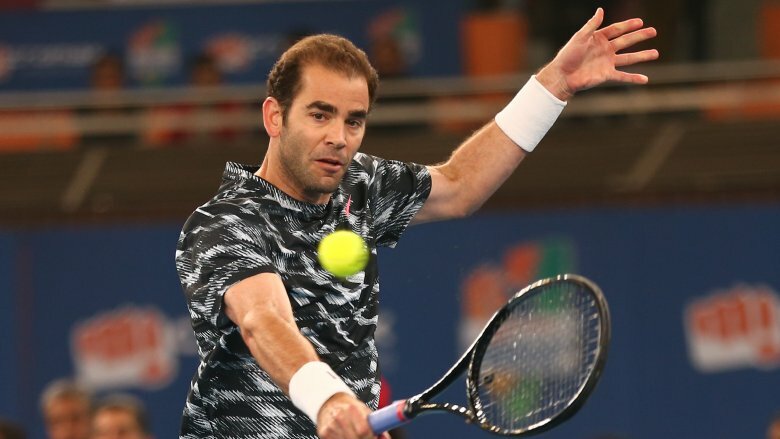 For more than four hours Sampras queasily dueled with Spain's Alex Corretja. During that period he vomited four times, once on camera. His upchucking ate up so much time that the umpire issued a warning for delay of game. Sampras' strength dwindled as the match went on, and according to the Associated Press, he appeared liable to faint. But his mutinous stomach and waning energy didn't stop him from coming out on top. Sampras went on to win the tournament. The WWE is known for its heavily scripted matches. But while the outcomes of contests are planned, the stuff that comes out of the wrestlers sometimes isn't. Far more often than we'd like to imagine, the stuff in question is poop. WWE behemoth Big Show shared a humiliating anecdote with Sam Robert's Wrestling Podcast. In the 2000s he competed against former UFC champion and furless grizzly bear Brock Lesnar in South Africa. At some point Show received one suplex too many, and in his words, "that was all she wrote." A normal mortal would have shuddered at the thought of handling a 7-foot man who'd just soiled himself, but Lesnar just laughed. Umpteen-time champion John Cena also encountered stomach trouble during a match against the scarily muscled Scott Steiner. According to 411 Mania, he had food poisoning and could hardly contain himself. Once the match ended, he hid under the ring and gushed from both ends. 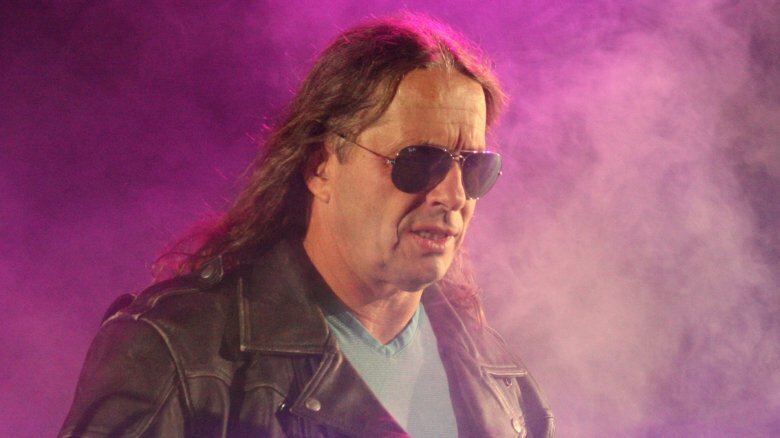 Hall of Fame wrestler Bret Hart (above) had a sickeningly close call while competing against the 589-plus-pound Yokozuna in India. Hart told TMZ Yokozuna was feeling under the weather, and the proof was in his diarrhea-soaked tights. Horrifyingly, the big man's finishing maneuver involved plopping himself onto opponents. Hart wisely moved out of the way. No matter how fast or strong you are, you can't outrun or outmuscle your bladder. When that thing reaches full capacity, it will unburden itself with or without your permission. This problem affects every type of athlete at some point or another, which is why ESPN has described urine as "perhaps the most influential and disruptive liquid in sports." 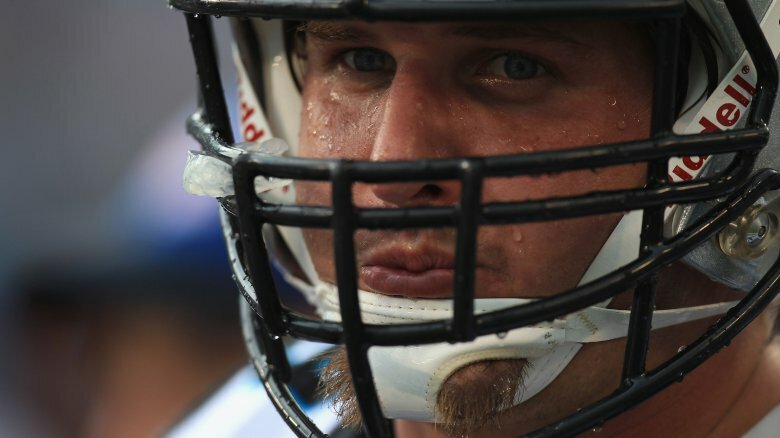 In 2013 former Carolina Panther Jordan Gross provided a window into the wacky world of NFL pee breaks. Because players are expected to be on the field at any minute, there isn't much time to dispose of the gallons of Gatorade they drink. So they have to find alternatives to using a restroom. According to Gross (above), there were several options with varying degrees of viability. The soggiest method was simply letting loose in white pants, which in addition to being hilariously noticeable, slowed him down. Then there was the "T-Pee curtain," which entailed urinating in a hut full of towels and parkas. However, for that to work, he had to trust his nearby teammates not to prank him. The most cumbersome and arguably least considerate solution was to pee in a cup and just leave it sitting around. In Gross's case it was a nonstarter because he had busted fingers wrapped in tape. However, his teammates did it so often that the Panthers rookies confused the liquid inside with Gatorade. He didn't specify whether anyone accidentally swallowed it. Did a bird drop a deuce in that dude's mouth? 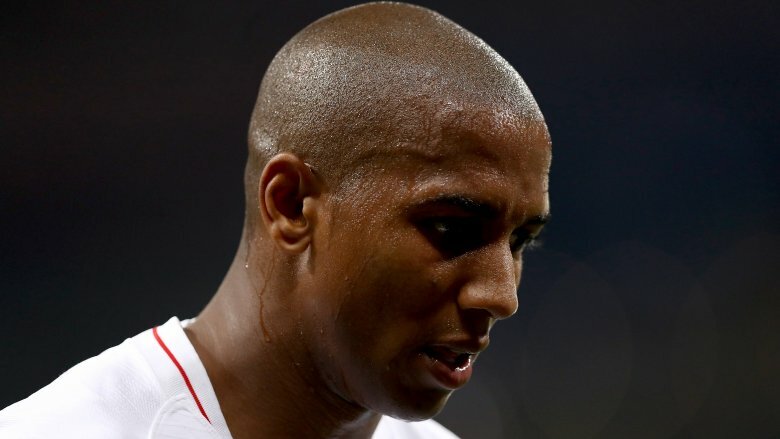 Ashley Young (above) is a soccer player, but his true calling might be competitive diving. The Manchester United winger has a well-documented history of flopping like a salmon on a trampoline. However, in 2014, instead of his falling, something fell into his mouth. While playing against Swansea, an unidentified falling object landed in Young's mouth. Whatever it was looked white and slimy, sort of like a cross between a loogie and a spoon of mayonnaise. Twitter users immediately surmised that it was bird poop, but as Deadspin pointed out, it could have been really thick spit. When asked about the incident, young insisted that his mouth wasn't a bird toilet. "I can 100 percent absolutely confirm it was not bird poo," he declared with a bizarre level of certainty. You'd think his denial confirms the spit theory, but instead he implied that someone had doctored the footage. One of Young's teammates, Luke Shaw, seemed to confirm the bird turd theory: "We still laugh about the time he got bird poo in his mouth against Swansea. If you ask him now, he'll say it wasn't bird poo." Much to Young's dismay, the team mocked him with a fake bird. NHL rules impose penalties for fighting but also acknowledge it as an accepted form of self-policing. If a hockey player does something to an opponent that's uncalled for, they should expect to get ferociously slugged in the face with the referees' tacit blessing. However, Boston Bruins forward Brad Marchand decided it was better to kiss and make up, with disturbing emphasis on the kissing. Per UPI, in November 2017, Marchand planted a wet one on Toronto Maple Leafs center Leo Komarov after they came to blows on the ice. In April 2018, he did it to Komarov again. In the postseason he went from smooching faces to tasting them during confrontations. NBC Sports reported that Marchand licked opposing players on two separate occasions. It's unclear if Marchand deemed his actions off-putting or funny, but treating an unwilling person like a lollipop is undeniably creepy. 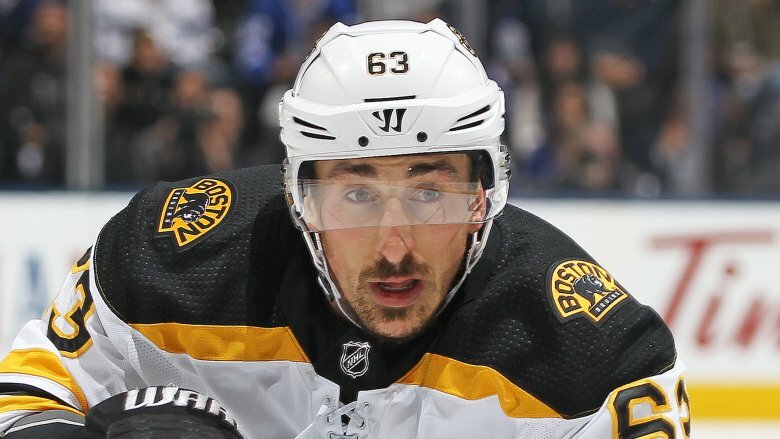 The NHL wanted it to stop and publicly warned Marchand that he needed to keep his tongue to himself or face punishment. Have you ever been so furious with someone that punching them seemed wrong because their face wasn't worthy of your fists? When that happens, there isn't an expletive or insult in the world that can do your anger justice, and yet you feel compelled to say something. Soccer players solve that problem by spitting on people. Rage-fueled spitting is so common in soccer that in 2009 the Telegraph published a list of the 10 worst cases. In one of those instances a Swiss player hawked a gob of contempt onto the neck of an Englishman. 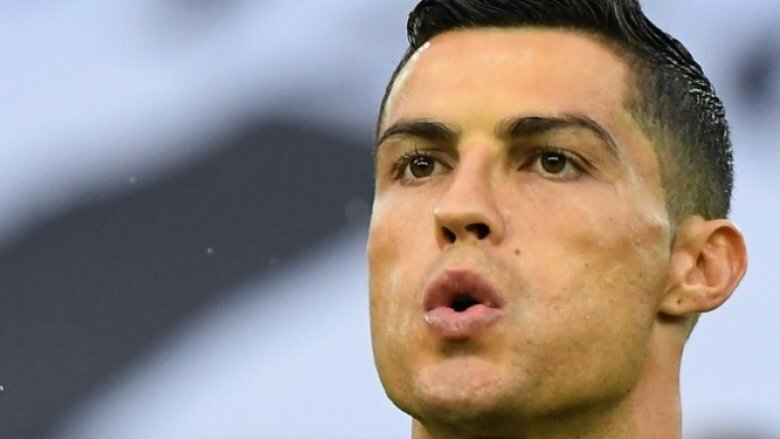 In another, the legendary Cristiano Ronaldo spit at a player's groin. In 2017 CBS Sports reported on a nasty spit battle between a Uruguayan player and a Brazilian in which the former caught a wad on the chin. Soccer isn't the only sport where people spray their anger. In 2006 NFL wide receiver Terrell Owens received a $35,000 fine for spitting in an opponent's face. Per the Independent, during the 2018 Tour de France fans smacked and spat on cyclist Chris Froome. And during a 2018 basketball game in Israel former Dallas Maverick Jordan Hamilton struck the back of a player's head with an icky mouth missile. Be careful out there — it's raining phlegm. True competitors fight with everything they have inside, so it's important for them to make sure their insides aren't full of poop. 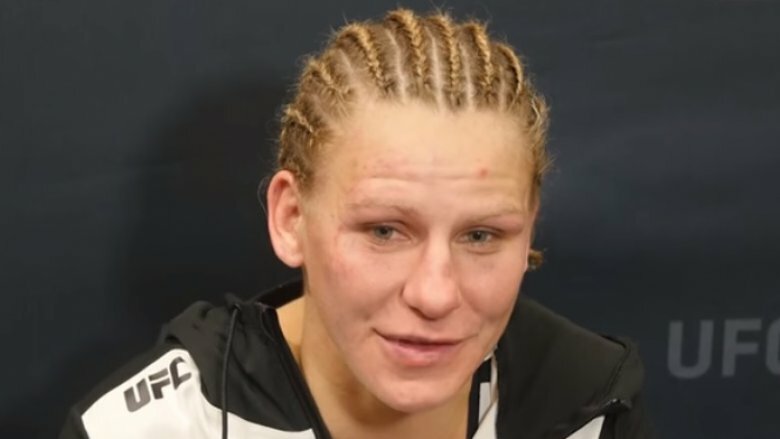 UFC fighter Justine Kish (left) thought she had done that before stepping into the octagon in June 2017. "I went to the bathroom like 20 times," she recalled. Unfortunately, her bowels had more to give. 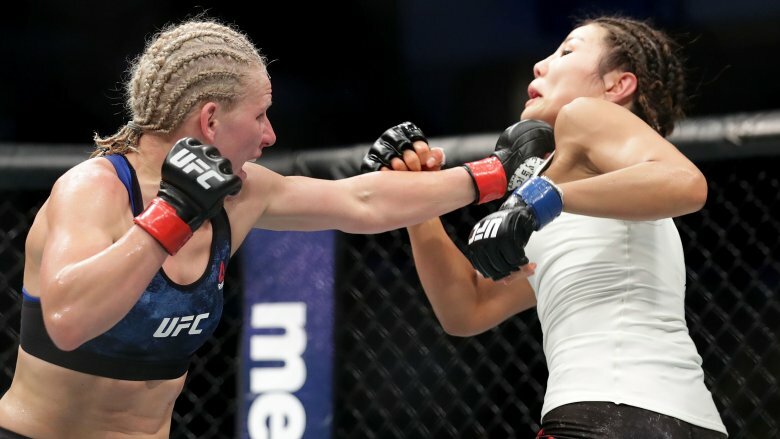 The world learned just how giving Kish's bowels were when her opponent placed her in a chokehold during the third round of their 15-minute bout. Kish refused to submit, but her colon cried uncle as she strained to escape. She had no idea what she'd done until she completed the match and finally smelled the fruits of her labor. To add insult to incontinence, she lost by unanimous decision. Understandably, Kish was mortified but dutifully waited until her opponent's hand was raised before retreating to the locker room. Instead of locking herself in a bathroom for a thousand years, Kish openly discussed her accident and even cracked a joke about it on Twitter: "I am a warrior, and I will never quit #Sh*tHappens haha be back soon." 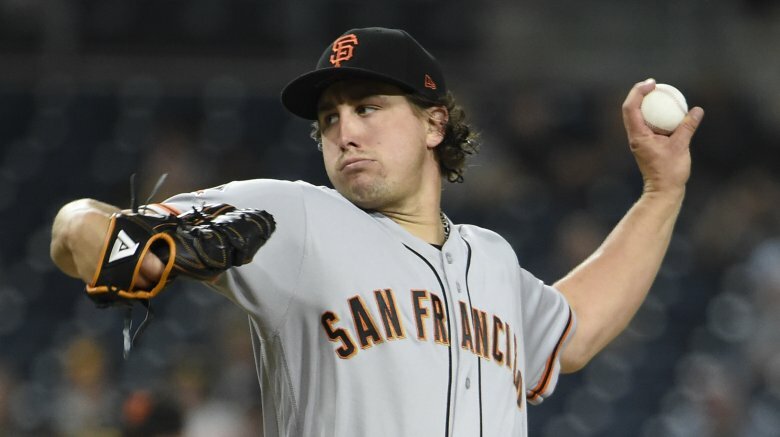 MLB pitcher Derek Holland goes by the nickname "Dutch Oven," which alludes to both his last name and his pitching hot streaks. The term "Dutch oven" also describes the act of pulling bed covers over someone's head and unceremoniously cutting the cheese. Fittingly, Holland has also forced athletes to inhale his farts during ballgames. During a 2014 radio interview Holland, who played for the Texas Rangers at the time, revealed that that he and his fellow pitchers played foul-smelling games to stave off boredom in the bullpen. In one of those games "you just fart in somebody's face and they can't flinch." Admittedly, that sounds like a biochemical assault masquerading as fun, but it's nothing compared to the nasal warfare that is fart bottle roulette. In that gross game someone toots into a mini water bottle, seals it, and hides it in a bag of unscented bottles. Then players nervously open those bottles until one unlucky soul unleashes hell on their own face. Pitchers aren't the only people who make gas attacks during baseball games. Former Yankees catcher Jorge Posada told TMZ that umpires used to fart at him on the field. Not one to turn the other cheek, he "returned the favor."